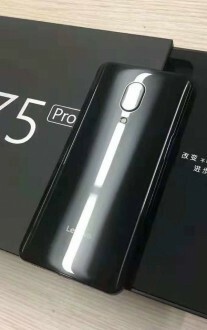 Lenovo Z5 Pro is going official tomorrow, and we know the phone is going to have a dual 24 MP + 16 MP main camera with dedicated AI Night Scene Mode. 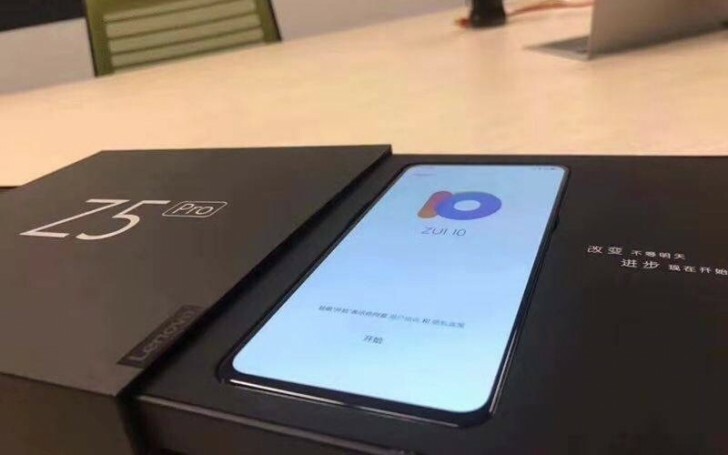 It is expected to have a sliding mechanism for the selfie camera and boot ZUI, which has just been confirmed by live images of the flagship and its retail package we received early this morning in our inbox. 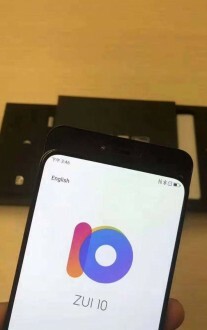 Lenovo Z5 arrived with ZUI 4.0, and the logical step is the Lenovo Z5 Pro to come with ZUI 5.0 or something similar, but apparently, the company decided to ditch the whole numbering system of the user interface. Massive screen-to-body ratio, 2.5D curved glass on the front and the back is not a surprise, although it is interesting to see the phone will skip the fingerprint scanner on the back. We are yet to see if it will make its way under the OLED screen or will be somehow embedded in the left/right side. Of course, there is also the possibility that Lenovo might completely ditch the sensor option and rely solely on Face Unlock. We’ll know what the deal is tomorrow when the official launch is taking place in Beijing, China. Thanks for the images, Louie Chan! Lienovo strikes back. These pics should be authenticated by an expert, probably some photoshop to lie to potential customers again. 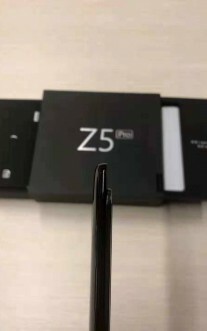 They simply posted 4 cameras in a sqare for s5 pro launch. Gsmarena and guys like u made it quad cam rear setup. . These phones are china exclusive and i have no idea why some of u guys are so much enthusiastic on these! !